I am so excited to bring you another very unique installment in the Planner Peek series! I don’t know about you, but I just LOVE being able to sneak a peek inside other people’s planners. I love to see how they use them, how they decorate them, what type of planner they use, etc. I have asked my readers to submit photos of their planners and to tell us a bit about how they use their planning system. (You can submit your planner by filling out this really short and easy form. 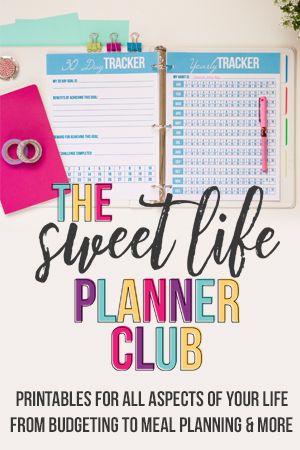 If you’re selected, you’ll get a free copy of the digital Sweet Life Planner worth $35!) All of the Planner Peeks in this series have been so fun to see. This week’s planner is a Russell + Hazel mini binder with SmartDate inserts that Iris uses. Iris has been a planner-user since high school and haz gone through many styles of planner since then. Iris even went digital for a while, but finally caved to the fact that she just loves putting pen to paper! 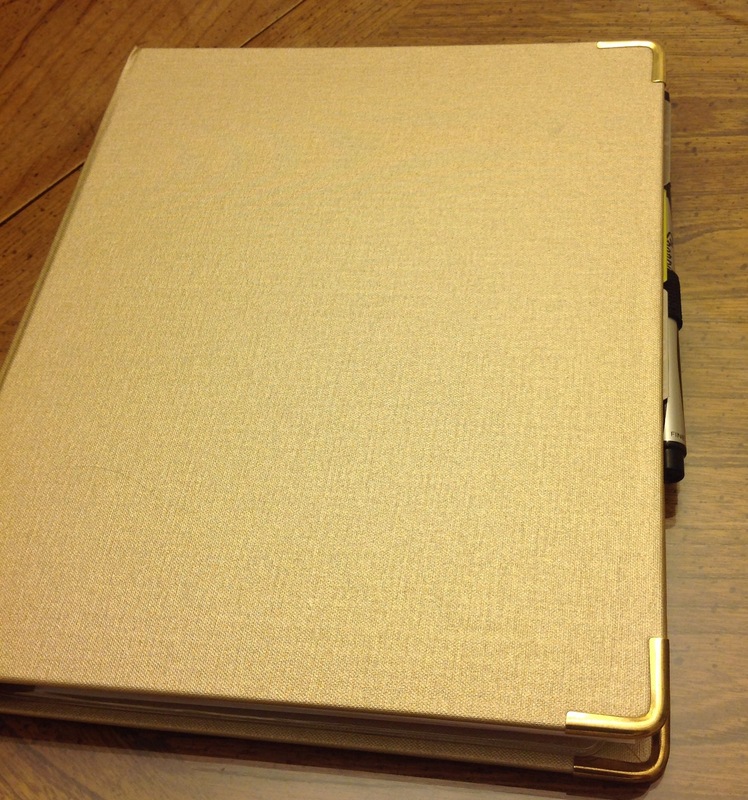 I must say, so do I.
Iris loves her Russell + Hazel mini binder, both for its size and cover (gold metallic – squee!) as well as the very flexible inserts. Iris uses their SmartDate system which provides a monthly overview, plus weekly planner sheets for her to note meetings and also time-block for specific tasks, which keeps her from procrastinating because she has a set time to tackle a task. Don’t we all need help to stop procrastination! She also builds in specific prep time for important meetings. In addition to working full-time, Iris has two young children and her husband travels quite a bit, so color-coding with her rainbow of Sharpie pens helps! She bought an adhesive pen loop and clear self-adhesive pockets for the binder cover to keep a pen and post-its close at hand. She does use some stickers but wants to strike a balance between fun and work-appropriate. The binder format lets her add filler paper. 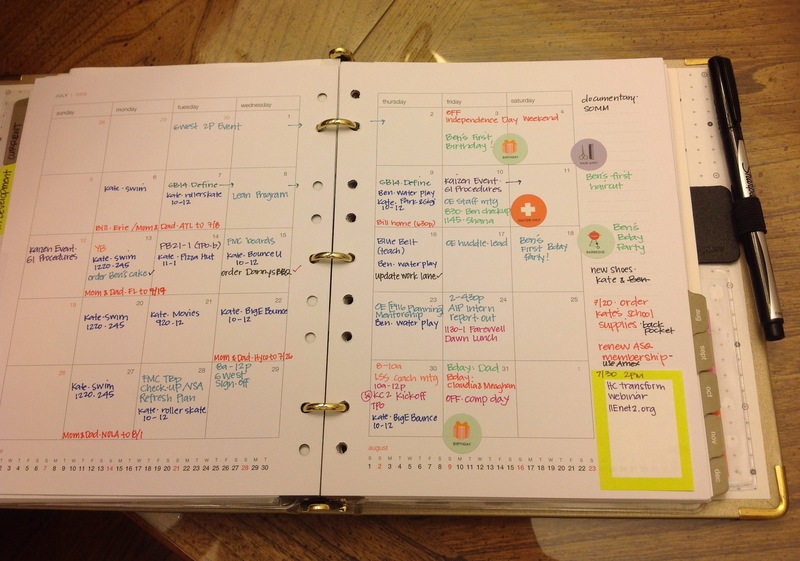 Iris also uses her planner to take notes at meetings or jot down thoughts about longer-term future projects and plans. 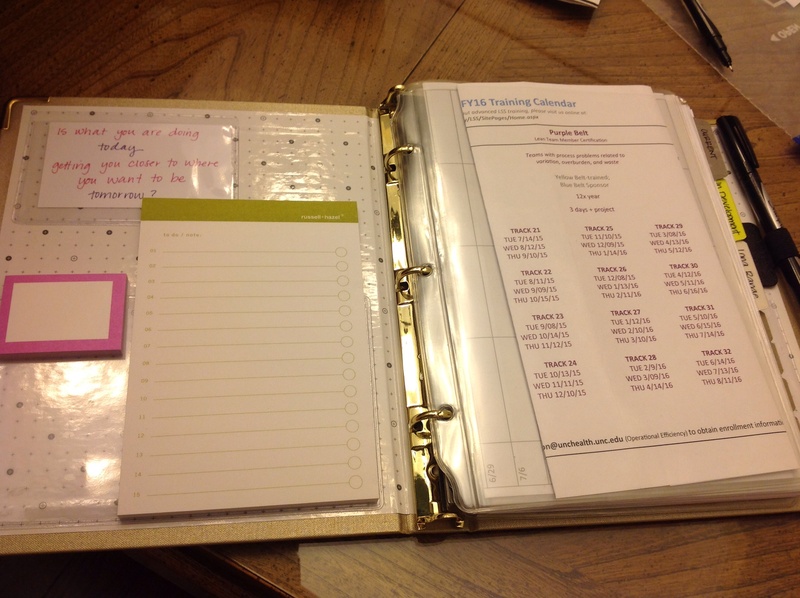 She has three tab dividers to keep work content at the front of the binder (current, in development, long range), and she has two tab dividers in the back (career: for goal-setting and professional development activities; and home: for the kids’ activities, PTA, and projects around the house). Iris says, “I keep the calendar portion in the center so that the most actively used portion is “in the middle” of everything! I keep 6 months in at a time, and have a secondary Russell+ Hazel mini binder (in teal) to archive past pages and to hold future calendar pages until it is time to move them in my active (gold) binder.” She also uses clear page protectors to hold other reference material she needs frequently, and a plastic business card holder for appointment cards, etc. 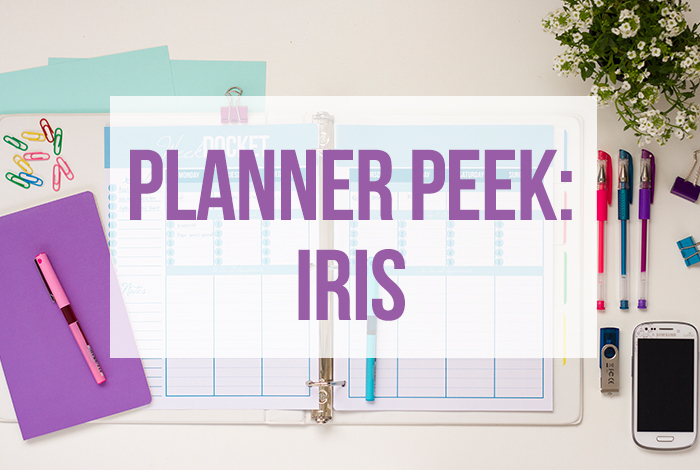 Yes, Iris has a very well-organized and useful planner! I loved taking a peek at it. I just love taking these planner peek tours. 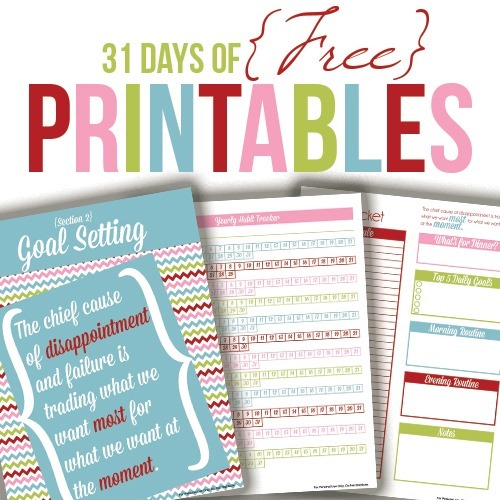 For even more inspiration with your planner, check out all the Planner Peeks in this series. 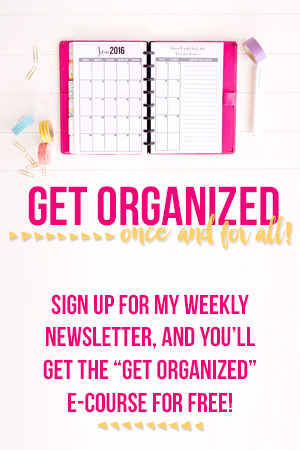 Do you want your planner featured in this series AND have a chance to get the Sweet Life Planner worth $35 for free? Just click here to fill out the super short and easy form to have your planner considered for the series. Leave a comment and let us know how you liked the planner peek and how it’s inspired you.